In Indianapolis, Mayor Greg Ballard changed the emergency travel level to “red” due to these temperatures. This makes it illegal for anyone to drive except if there is an emergency or if they are trying to find shelter. The last time this travel level was updated to “red” was during a 1978 blizzard. There have been more than 1,000 flights canceled due to this weather. 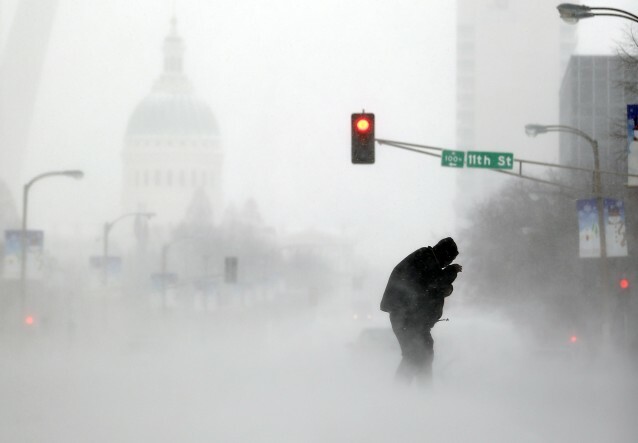 Many cities have closed down their locations including St. Louis where more than 10 inches of snow fell, they had to close the St. Louis Art Museum, the Gateway Arch, and the St. Louis Zoo. The extreme low temperatures are causing many problems where farms, schools, and businesses are closing and people need to find shelter for this emergency. All people can do now is make sure everyone is out of the cold and safe, and hope that this weather will not continue for much longer.